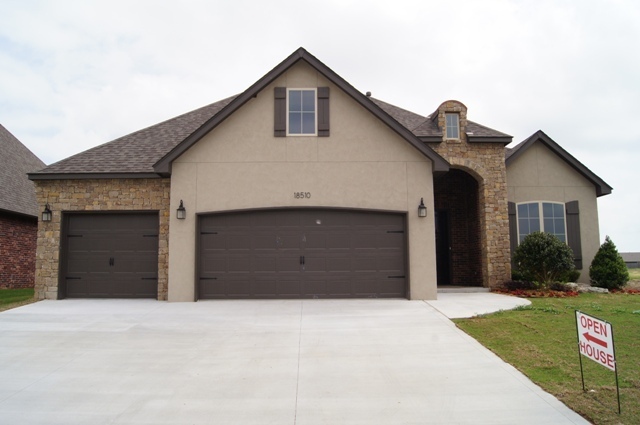 This Perry Hood Properties, Inc. 2 story floor plan has 5 bedrooms, 3.5 baths and a 3 car garage with approximately 3350 sq. ft. 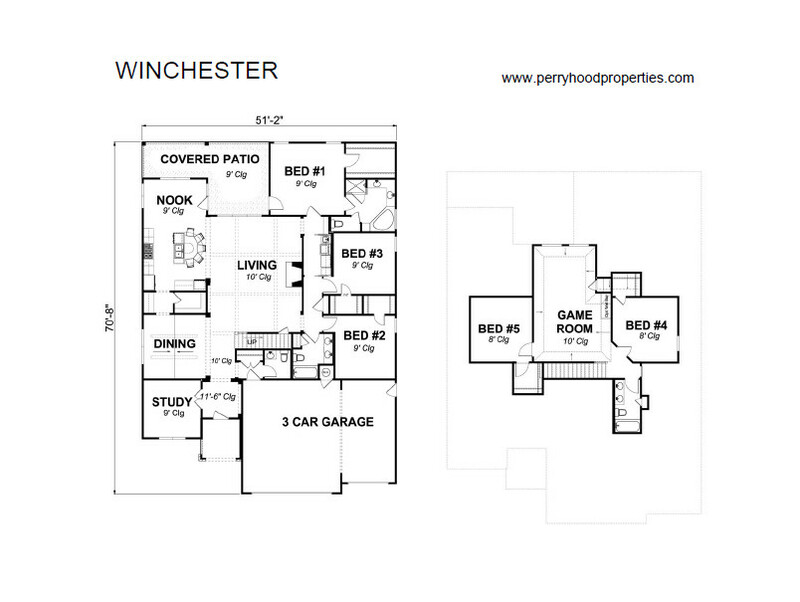 The Winchester includes a 3 car garage standard. There are three bedrooms downstairs, with a game room and two bedrooms upstairs. There is a lovely formal dining room plus nook. The covered patio has access from the nook and master bedroom. The kitchen has an island, walk-in lighted pantry and stainless steel built-in appliances, as well as a butler’s pantry. The private study can be used as a home office or bonus space. The large utility room with sink and folding area is conveniently located near the master bedroom. Jay Rambo cabinetry is standard throughout. This layout is by far our best selling large home!